Let me begin by saying THANK YOU to all of you my loyal, beautiful, just delightful Cuisinicity fans! I just found out that Cuisinicity now has over A MILLION VIEWS from all over the world since I began sharing my recipes with all of you! WOW!!! It’s just so amazing to me that something I invent in my kitchen here in Connecticut is replicated in a far away kitchen somewhere on the other side of the world and giving that family as much joy as it does me! So, again, WOW and THANK YOU SO MUCH for your unwavering support! ….and so it is, with that yearning for Spring, that this week’s post is dedicated to the freshness of citrus! 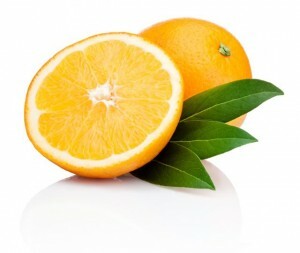 Fruit is an important staple of a healthy diet and citrus fruit is no exception. 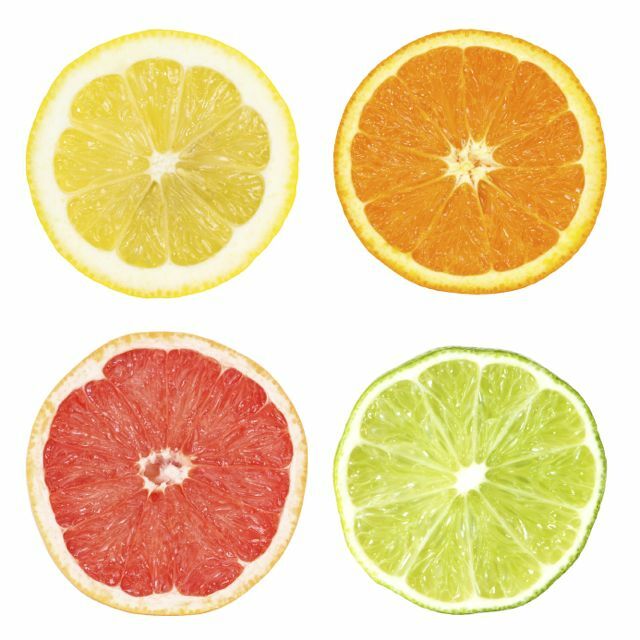 Citrus fruit provide a diversity of important nutrients including essential minerals, vitamins (most notably Vitamin C), and antioxidants such as flavonoids. I love to use citrus in my cooking and baking because of its multifaceted flavor “palette”: from sour, to tart, to astringent, to sweet and even to bitter in the case of grapefruit. 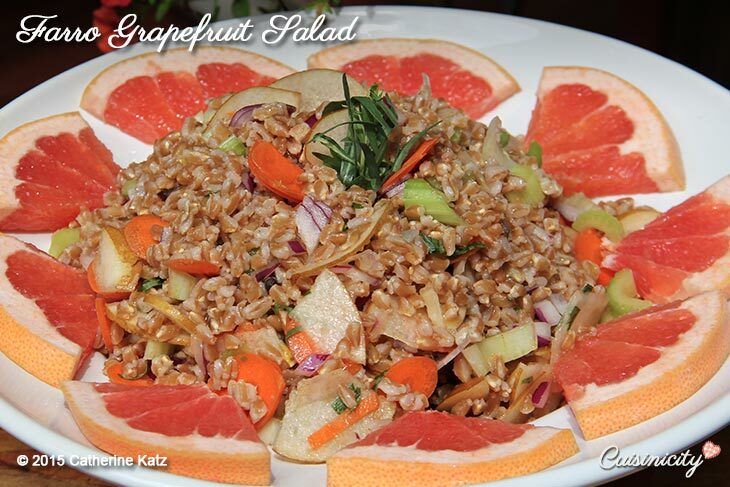 Citrus encompasses such a diversity of flavors and opens up a whole array of delightful recipes! Nothing like the freshness of citrus to accent any dish beautifully! Here are some recipes that I love! 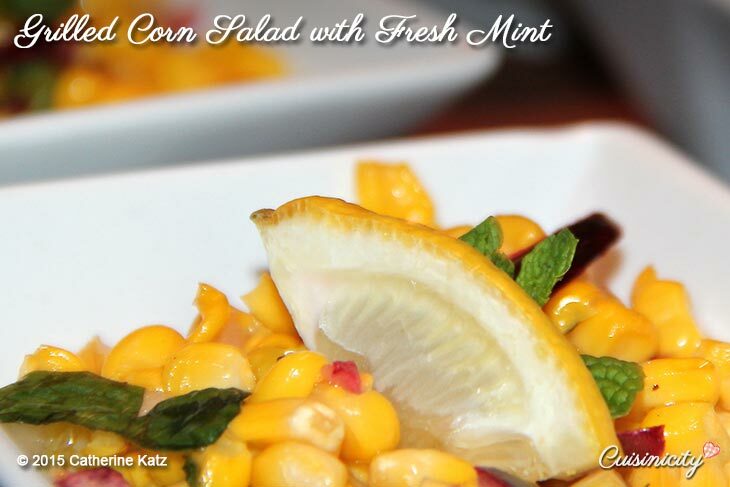 Featuring lemon: Tabbouleh salad, French Lentil & Sweet Potato Salad, Grilled Corn Salad with Fresh Mint, Carrots à la Chermoula, Pan-seared Tilapia with Lemon Chives & Capers, Lemon Pistachio Chicken, Honey Glazed Chicken, Baked Halibut in Wine Tomato Broth, Moroccan Lentil Chickpea Soup. 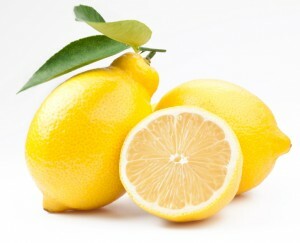 I also love to use fresh squeezed lemon juice over grilled fish or seafood. It gives it just the right touch! You can also use fresh squeezed lemon juice instead of vinegar with extra virgin olive oil in your salad dressing. Featuring orange: Mediterranean Couscous Salad, Grilled Orange Herb Chicken, Spinach Potato with Orange Caramelized onions, Peach Orange Smoothie, Blueberry Corn Muffins, Orange Spinach Wild salmon, Almond Orange Chocolate Torte and Orange Polenta Petits Fours with not only fresh squeezed orange juice in the batter but also orange flower blossom water which gives it an exotic flavor. And, of course, the simplest way to enjoy citrus fruit, is just simply fresh, as a snack (except for lemon, unless you are like my father-in-law!). So, by all means, please do: Have fresh oranges, clementines, tangerines, grapefruit in a bowl or basket on your kitchen counter or in the fridge at all times and let them “lure” you into eating them, just because they are there, so beautifully inviting! …and, for goodness’ sake, may the Spring season begin! Freshness, sweet and clean is what comes to mind when I think of citrus. But n recipes, that’s the best! 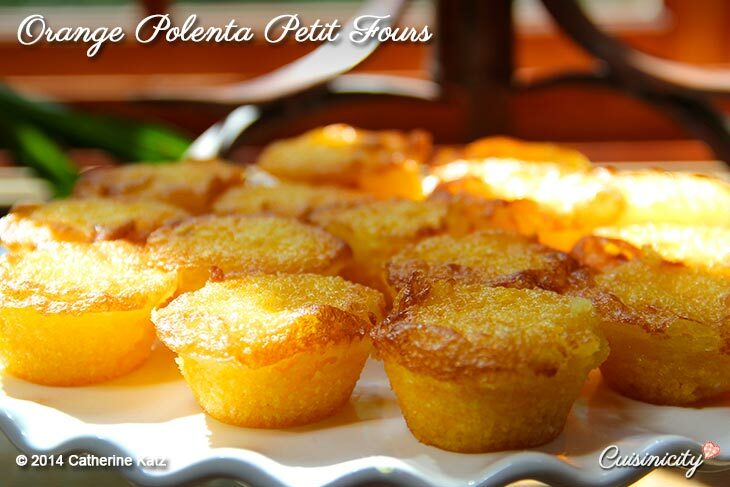 Can’t wait to try the citrus polenta! Thanx! I love citrus and have been using it in more and more recipes. 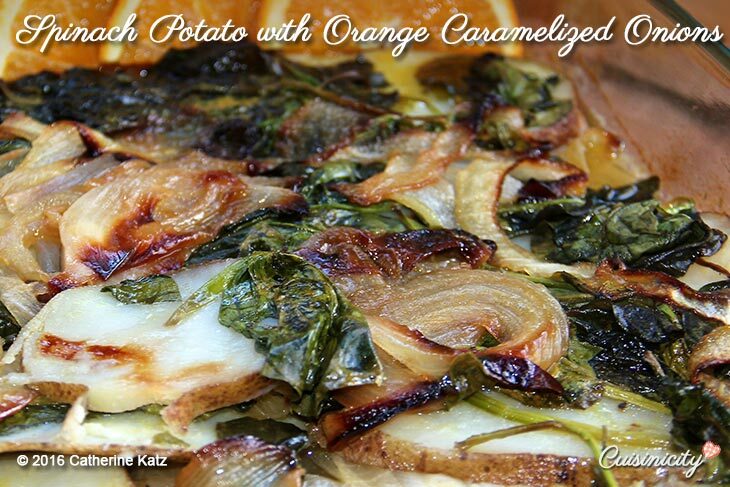 Can’t wait to try the halibut recipe, not to mention the Spinach Potato with Orange Caramelized Onions. And if I could recommend – if you have leftovers, cook them in an iron pan for a wonderful source of iron, made more easily absorbable by the chelating vitamin C! Delicious and nutritious, thank you, fabulous Catherine and Cuisinicity! Welcome back ☺ Thanks for this lovely post. I want you to know how very much I appreciate you and all that you do! Cooking for those we love can be one of the greatest expressions of our love for them ? Thanks for your wonderful recipes and for sharing your beautiful mom. 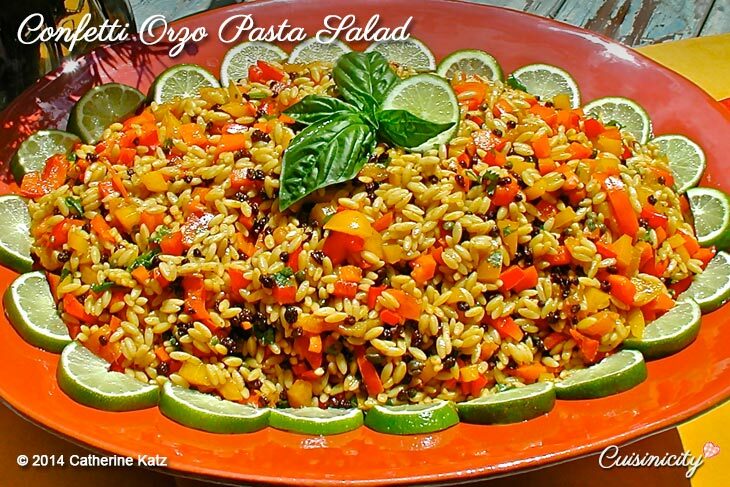 I happen to love citrus and will be making many of these dishes. P.S. My 4 year old son is a lemon eater like your dad, how funny? What a beautiful way to welcome Spring! The Orange Spinach Wild Salmon caught my attention and went straight into my Yummly. There is just something magical about orange and salmon, isn´t there? Oh, and the apron with your logo is gorgeous. There is something so classic about a beautiful white apron. So European! Salut, Catherine! Les citrons sont les fruits les plus delicieux. Un peu d’huile d’olive, du saumon, du poivre noir, du jus du citron, des tranches du citron jusqu’au moment ou nul liquide reste, ajouter un peu de reisling ou pinot grigio, et voila!!!! YUM! Catherine. I love grapefruit, but can’t wait to try the peach orange smoothie. Spring brings all those wonderful combinations of fruits and veggies for smoothies! I LOVE the salmon, orange, spinach and tomato recipe. Look forward to the new citrus fish recipes, especially during Lent. I’d be proud to wear the Cuisinicity apron. YAY Joann! I have the feeling you may be wearing it soon! 🙂 🙂 Merci à vous! I LOVE the fish recipes. I have made the spinach, tomato and salmon recipe several times, for guests too. Also great with cod. I can’t wait to try the the new lemonade fish recipes in this issue. I would be proud to wear the apron. I always love citrus! I can’t wait to add them to these creative recipes. This is a very exciting and fun list Catherine. Thank you so much fro sharing! YAY Leslie so happy to hear that!!! Hi Betsy! I hope you love it as much as we do! I just made it again last night, soooo good! The chickpea and lentil soup looks great. I’m going to try it this weekend. 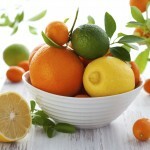 As I look out at this snowy morning, on March 30th (sigh), I too long for the Springy colors of citrus! So glad you mentioned lemon as a substitute for vinegar. When I was first diagnosed with late stage Lyme Disease some 18 years ago, my doctor, who was absolutely wonderful! and a foremost expert in Lyme and related diseases, put me on a “no-yeast diet.” One of the tips he gave me was to use lemon juice as a substitute for vinegar, which apparently is quite yeast producing. The lemon juice was such a hit, and so much tastier than vinegar, that I use it to this day! Any chance of us getting a salad dressing recipe using lemon juice? Thanks for all you do for us Catherine! Oh my goodness Donna, such an insightful finding on behalf of your doctor, I am so glad that you found a solution. I had no idea–it is so amazing to me. Thank you so much for sharing your story and yes absolutely, I will work on a wonderful lemon dressing, if only just for you!! So many delicious recipes to try. I adore the photos you have included in this post. 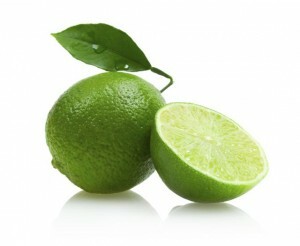 Limes, manderins and cumquats are my favourite citrus fruits. We are just coming to the end of summer here although the heat is lasting a long time this year. On my visit to the farmer’s market this morning dragon fruit was in abundance so I will be experimenting with recipes for that in the coming weeks. I am so delighted to hear that Valerie! How lucky you are to have dragon fruit in your market! Are you in New Zealand or Australia? Oh oui alors, Martine de France! Quelle belle boisson rafraîchissante en effet! J’aime beaucoup que vous précisez même que tout cela macère gentiment!! adorable! 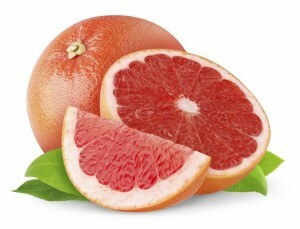 So appealing – the bright colors and the great tastes of citrus. I am definitely trying your swordfish recipe this week. 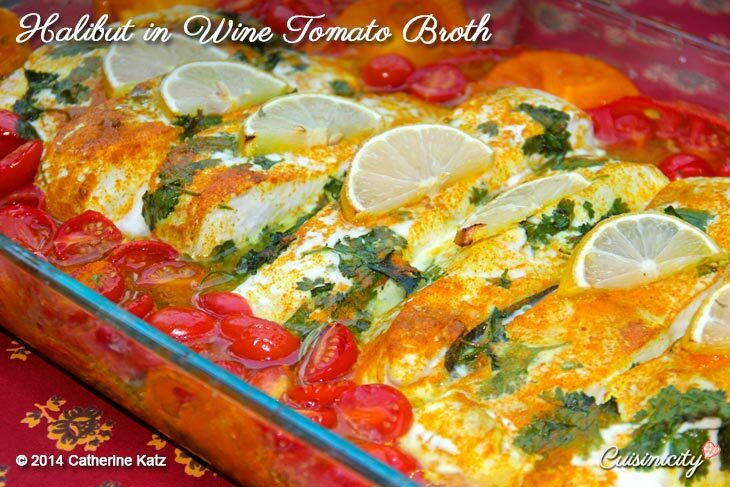 I was going to make your talapia – but, this is so appealing – so filled with the freshness of spring, I can’t resist. It’s snowing here too, by the way – and this beautiful page of recipes, just brightened up the day! Thank you! Thank you Mom! I think you two will love it! Did you like the reference to Dad eating lemon as a snack?! Thank you Barbara! Please let me know how you like them! I always LOVE feedback!